Crammed into a small triangular plot of land in SoHo, Lieutenant Joe Petrosino Square pays homage to one of the most intrepid cops in NYPD History. In the course of his career, Petrosino would go from street sweeper to NYPD Lieutenant only to be cut down by assassin’s bullets on the streets of Palermo. More recently, Leonardo DiCaprio will be playing Joseph Petrosino in his new movie, The Black Hand, based on a book by Stephan Talty. 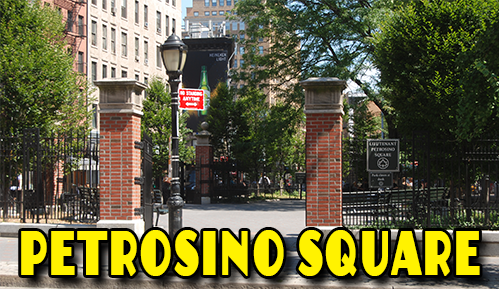 Named for NYPD detective Lieutenant Joe Perosino, Petrosino square honors the famed detective cut down by mafia assassins on the streets of Palermo. He traveled to Sicily to investigate the Black Hand. Born Giuseppe Petrosino in 1860, the detective got his start with the New York Police Department in an unusual way, sweeping streets. In those days, street cleaners or whitewings, as they were known, fell under the command of the New York’s Metropolitan Police Department. Sensing Petrosino’s linguistic skills, Williams put the Italian street sweeper to work as a special assistant in tenderloin cases involving Italians. At age of 23, the 5’7” Petrosino became the shortest patrolman on the force, a favor that came courtesy of Williams, who forced the Police Board to wave the height regulations. Alexander Clubber William brought the young Petrosino into the NYPD to help with Italian crimes. 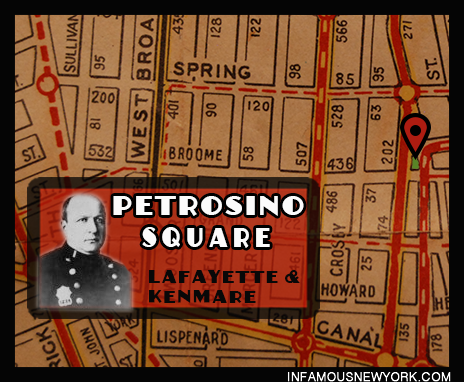 By 1890, Petrosino moved up to the investigation section, policing the crime wave sweeping little Italy. 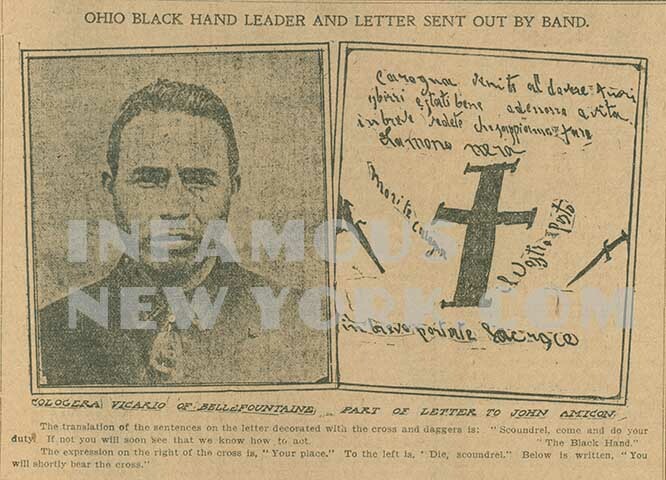 Dubbed the Black Hand or La Mana Nero by the papers because of the distinct extortion letters signed with a black handprint, Black Hand gangsters specialized in kidnapping, extortion and bombings. The newspapers failed to realize that the Black Hand was actually a myth dreamed up by a New York Tribune reporter. The papers could not have imagined that the real culprit behind these crimes was a secret criminal society known as the Mafia, a term unknown at the time. Know as the Black Hand for their distinctive extortion notes often featuring black hand prints, the criminal organization often served as a front for mafia activities. Ruled by a cutthroat mustachioed scoundrel with a deformed hand, Giuseppe “Peter” Morello ruled New York’s first crime family, an organization that would one day be absorbed by Lucky Luciano and Vito Genovese. Morello made his bones in the old country as an assassin, counterfeiter and kidnapper before fleeing to America to avoid murder charges. Giuseppe “The Clutch Hand” Morello, leader of America’s first Mafia family. While Morello sailed across the Atlantic, Petrosino carved out a name for himself in the NYPD. 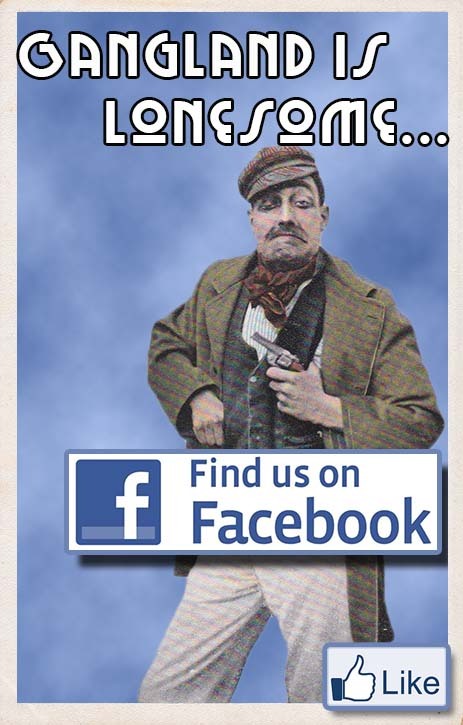 By 1890, he moved up to the investigation section. A master of disguise, the young sleuth possessed an array of costumes. Petrosino’s antics amused Police Commissioner Theodore Roosevelt and the pair became instant friends. A shrewd politician, Roosevelt realized that the influx of Italians would further his political base if he had his own inside man. 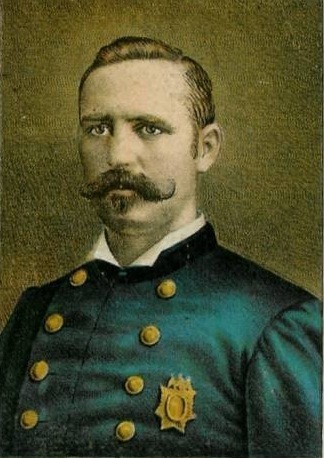 For this reason, Teddy promoted Petrosino to Sergeant Detective, the first Italian-American to attain that rank. By 1903, there were more Italians in New York than there were in Rome. Collectively the Italian population was 1/4 of the entire city, however, only eleven police officers spoke Italian. After a rash of tenement bombings, the NYPD formed the Italian Squad. The five-man band included Maurise Bonil, Peter Dondero, George Silva, John Lagomarsini, and Ugo Cassidi. The great grandfather of the NYPD Bomb Squad, the Italian Squad specialized in bomb disposal. 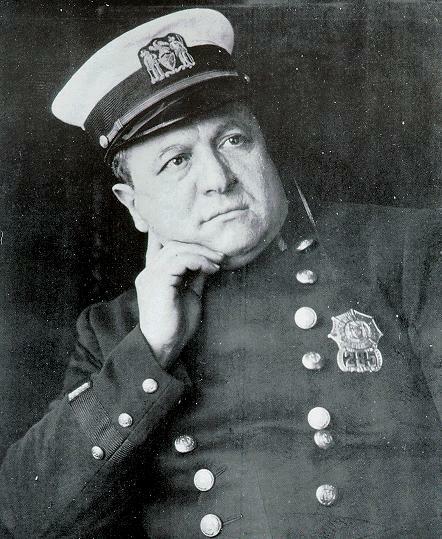 Joseph Petrosino leader of the New York Police Department’s Italian Squad. Meanwhile, it seemed that every Italian thug with a scrap of paper and a pen was turning to Black Hand extortion while true Mafioso, like Giuseppe Morello, worked to solidify their criminal empires. Upon arriving in America, Morello enlisted the help of a savage enforcer, Ignacio Lupo “the Wolf”, and Don Vito Cascioferro, an unusual Mafioso by all accounts. Ferro started life as an anarchist who took part in uprisings, protests, and political assassinations in Sicily and later served as president of the Fasci of Bisaquino. Petrosino quickly became the bane of the Morello Crime Family. 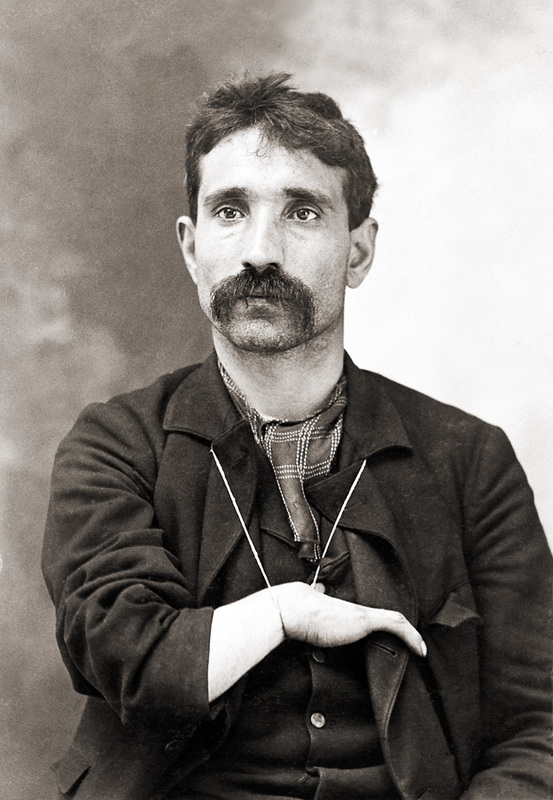 After Cracking the Barrel Murder, Pertrosino issued an arrest warrant for Cascioferro, who fled to Sicily. 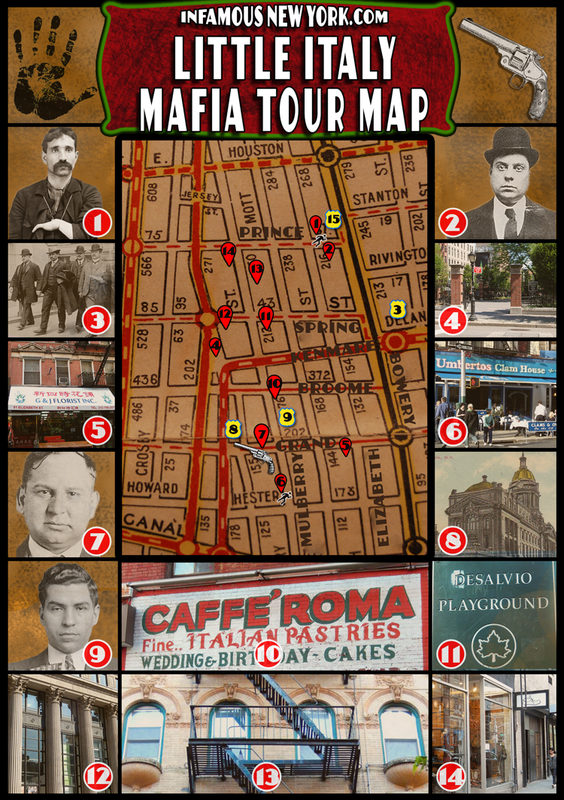 In 1909, Lt. Petrosino traveled over 4,000 miles to Palermo to uncover the secrets of the Mafia. It would be the detective’s undoing. Cascioferro’s assassins caught up with Petrosino murdering him on the Piazza Marina. For over sixty-four years, police officers called it the big white castle, the nerve center of the nation’s largest and most sophisticated police department. Over the years, the New York City Police Department’s Centre Street headquarters would combat mobsters, bootleggers, jewel thieves and serial killers. 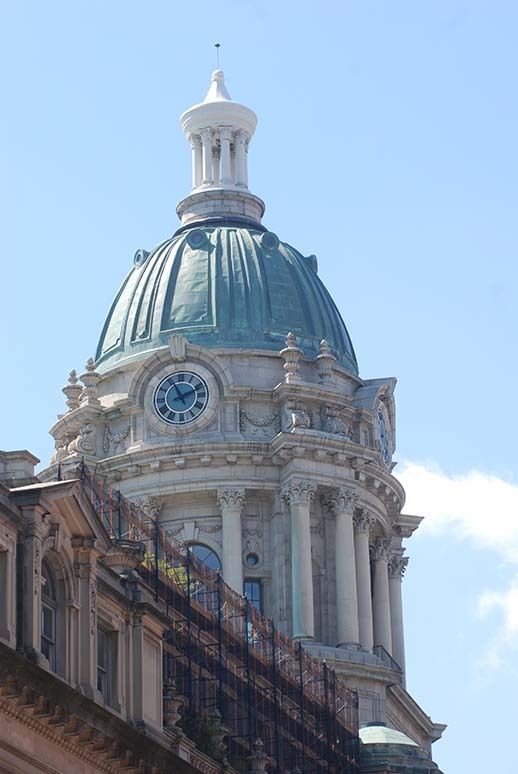 Built by the architectural firm: Hoppin, Koen and Huntington for approximately $750,000, Old Police Headquarters, or the Central Office as it was once called, represents one of the most beautiful Beaux-Arts masterpieces Manhattan has to offer. 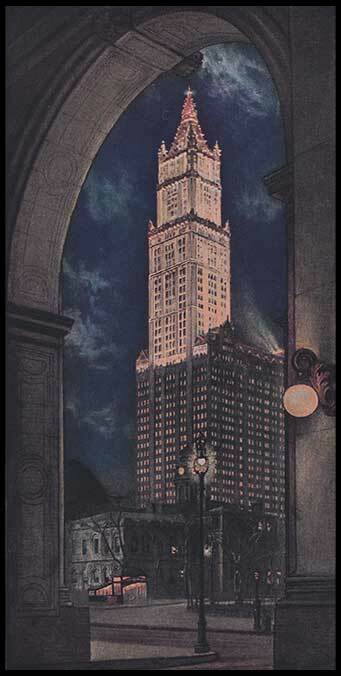 The New York City Police Department headquarters stood at 240 Centre Street from 1909 to 1973. Built between 1905 and 1909 on a wedge shaped parcel of land bounded by Grand, Centre and Broome Streets where the old Centre Market had stood since 1817, the new Headquarters was needed following the consolidation of the five boroughs in 1898, when the police force quadrupled in size. 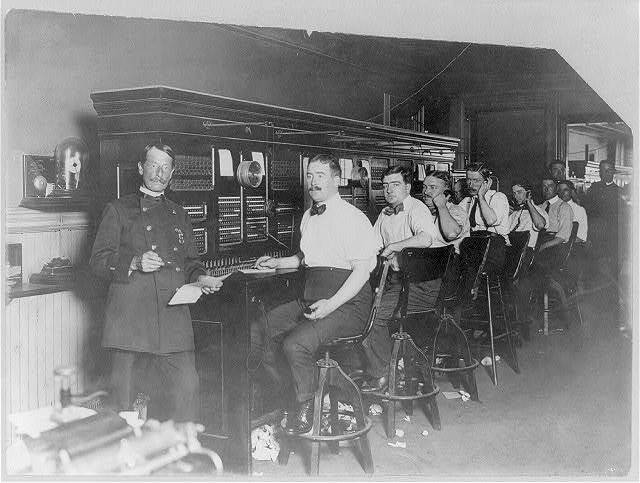 On midnight November 29, 1909, Police Commissioner William F. Baker inaugurated New York’s era of scientific policing when telephone switchboards at the old police headquarters at 300 Mulberry were simultaneously shut down and transferred to the new Central Office. 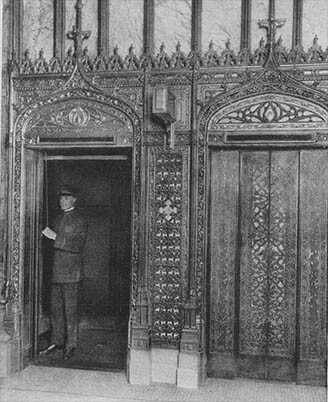 On the first floor of 240 Centre Street, visitors would find an ornate reception room. 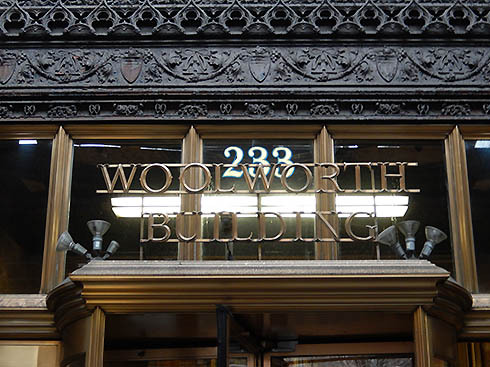 To the left of reception, guests could find the Chief Inspector’s office, the Bureau of Information and the Boiler Squad, a NYPD unit responsible for testing steam heaters in buildings throughout the city. 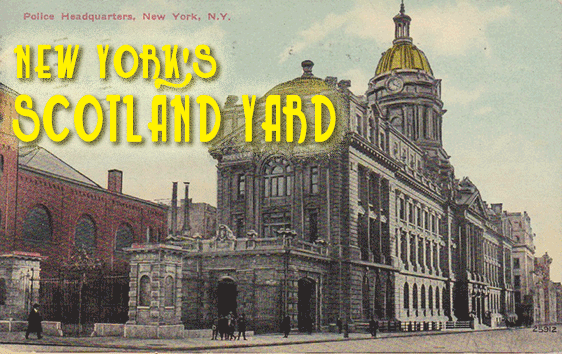 The old New York Police Department headquarters was located at 240 Centre Street. To the right of the reception room, the chief detective’s office could be found next to the line up room for criminal suspects, the homicide room and Lt. Giuseppe “Joseph” Petrosino’s famed Italian Squad. Formed to investigate the growing threat of a criminal organization known as the Black Hand, Lt. Petrosino and his Italian speaking squad uncovered the existence of a secret criminal society known as the Mafia lurking in the shadows of New York’s Little Italy. 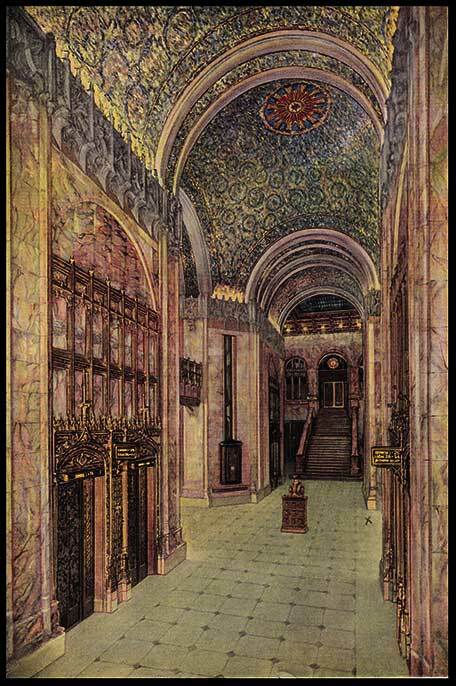 Assassinated while investigating the Mafia in Sicily, Petrosino never had the chance to see the new Police Headquarters. After the assassination of Joseph Petrosino, Michael Fiaschetti took command of the Italian Squad at 240 Centre Street. 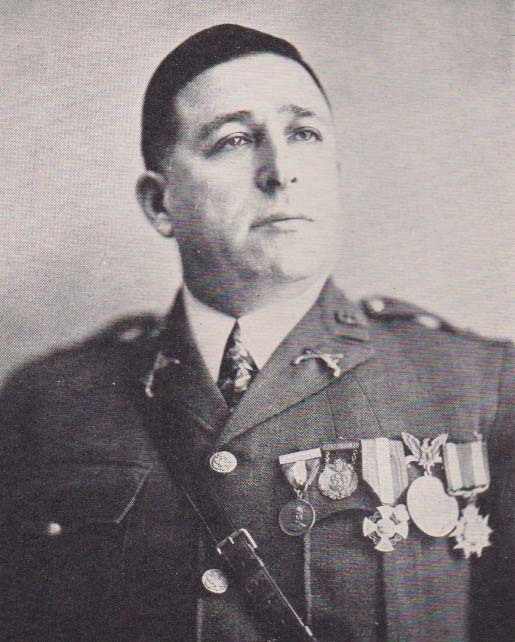 Petrosino’s second in command, Michel Fiaschetti ran the Italian squad from 240 Centre street well into prohibition when the unit was disbanded. In addition to combating the Mafia, the Italian squad developed the nation’s first bomb squad to defuse bombs planted to extort Italian shopkeepers. Another flight up was the Chief Clerk’s offices and a police science library, a room stocked with the most up to date texts on investigation, forensics and criminal identification. Housed on the fourth floor, the City’s Police Academy operated at 240 Centre street until it moved to 400 Broome Street in 1928. The facilities included a gym, a drill room, heavy bags and a running track. Equipped with the latest technology of its time, the switchboard room was located on the 5th floor of 240 Centre Street. Nearby in the Bertillon room, officers photographed and meticulously measured and recorded different parts and components of known criminals’ bodies. 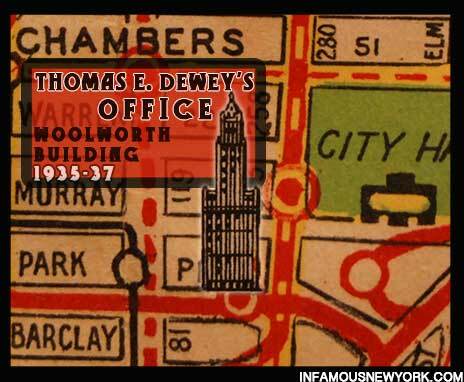 Their findings were then printed on 5”X3” index cards, an early system of criminal identification, and sent to the Old Police Headquarters’ Rouges Gallery. 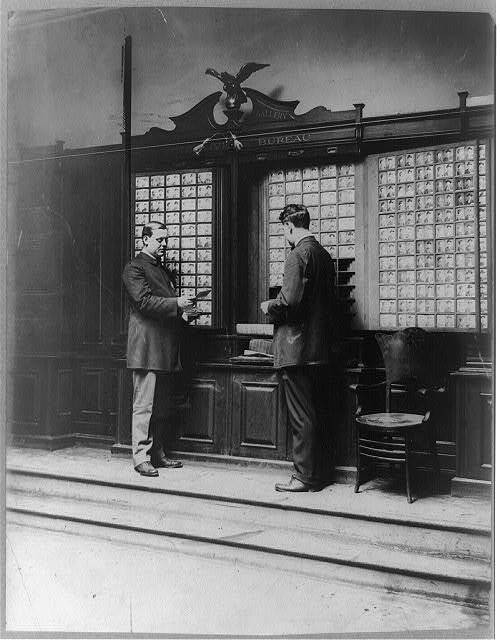 Fingerprinting eventually replaced the Bertillon system. The Rouges Gallery in 240 Centre Street. After criminal identification cards were created, the documents were stored here. 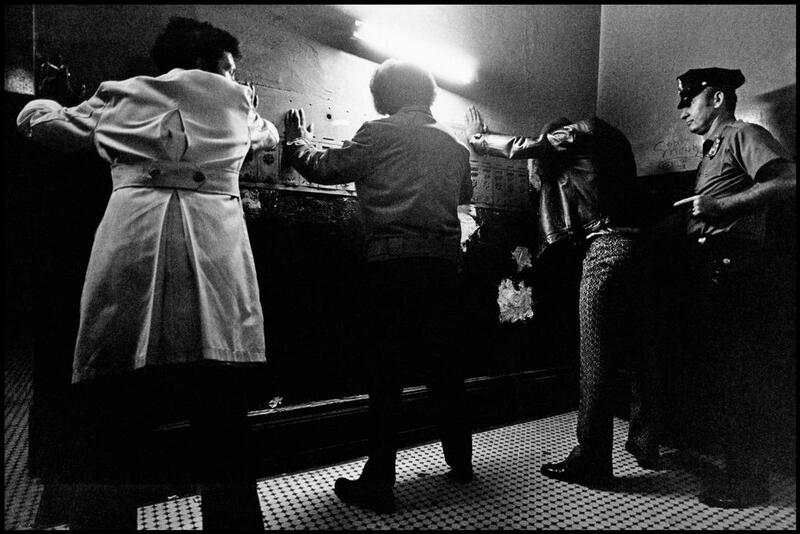 The cellar boasted a pistol shooting range, the property clerk, 72 cells for high profile Detective Bureau prisoners, and most notably a secret tunnel. During prohibition, officers went to great lengths to get their drink on, digging a tunnel under Centre Street to O’Neill’s tavern so that the coppers could drink in uniform. Parts of the tunnel live on today as a wine cellar. 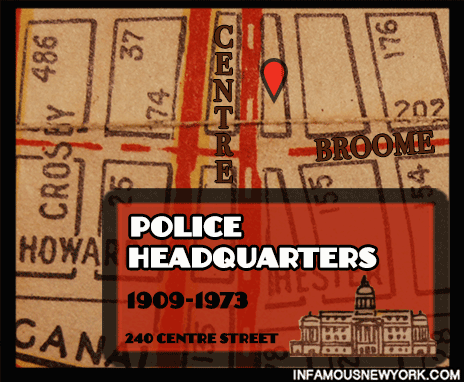 The Police Department officially closed 240 Centre Street in 1973, moving headquarters to 1 Police Plaza. Rather than relocating the historic records into an archive, the department unceremoniously dumped a half-century worth of police records into the East River. 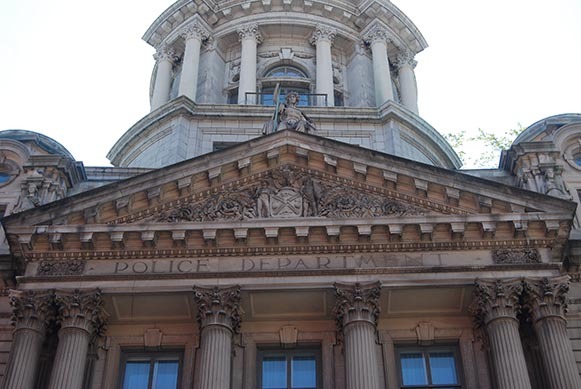 Headquarters was later converted into a luxury apartment building named the Old Police Building. 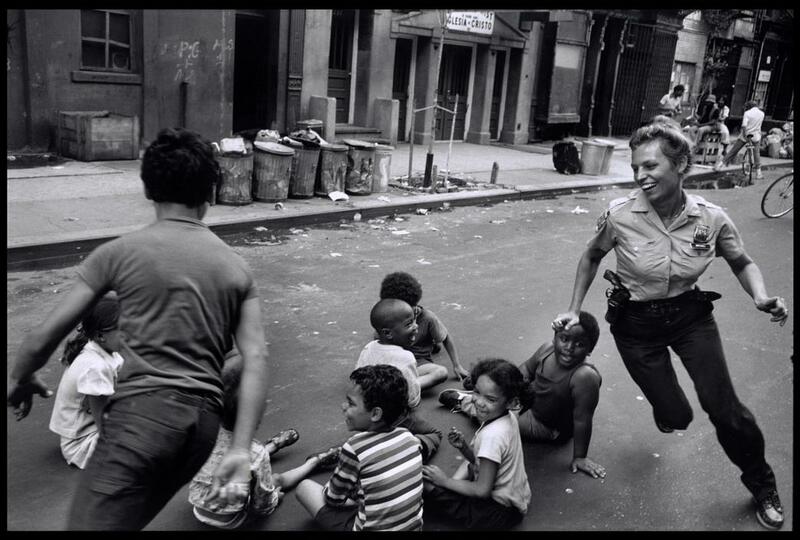 Check out these amazing photos of the NYPD in gritty 1970s New York.